The WSJ's analysis of homicide data since 1985 shows that 4 of the nation's 35 largest cities have gotten close to or exceeded the murder rate records set 25 years ago, when cities were fighting gang and drug wars. The four worst U.S. cities: Chicago, Memphis, Milwaukee and Baltimore. In interviews with WSJ, police chiefs attributed the homicide surge to a rise in gang violence, poverty, strained community relations and lax prosecution of gun laws. They also noted that the murder surge in these cities came after highly publicized police killings of black men. 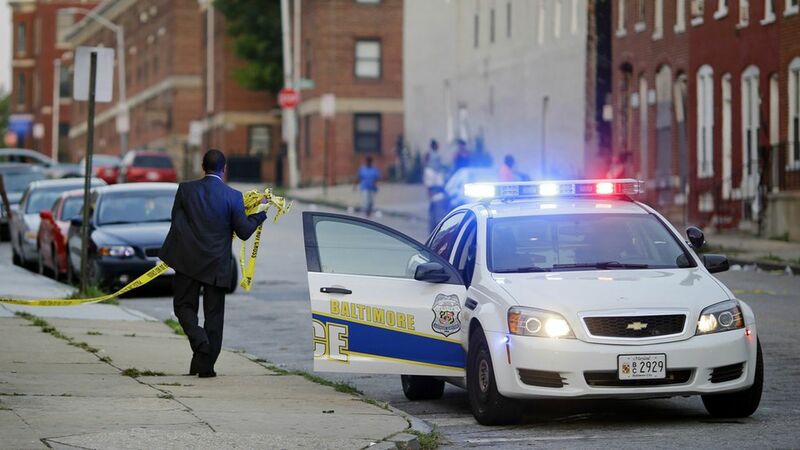 Homicides are concentrated in poorer neighborhoods, but poverty levels in these areas are similar to those in Philadelphia, where the violent crime rate is at its lowest in 30 years. But there's hope: Murder rates remain historically low in New York City and Los Angeles. Chiefs in both cities point to improved neighborhood-policing efforts in recent years.